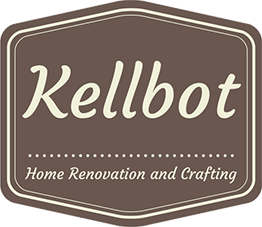 Interior Design Planning - Kellbot! | Kellbot! One of the nice things about buying a home that had been built recently is that the original builder’s plans were still available, leftover from when they were trying to sell the development. We got them from the seller and I immediately started modeling the house in Google SketchUp. I followed the technique in this video to build the house from the plans. Things won’t match inch for inch, but it gives me a pretty good idea of the layout and I can always correct the measurements later after checking them with a tape measure. For the time being my house has no ceilings, and each floor is laid out side by side. 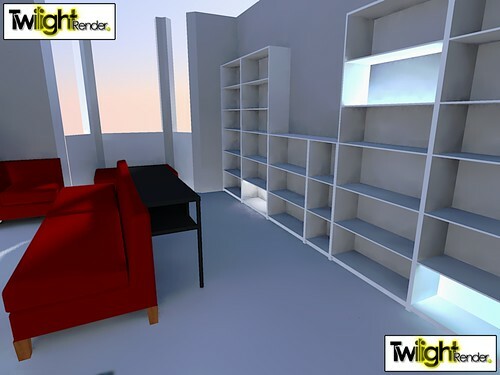 Google SketchUp has a wide variety of furniture in their 3D Warehouse, and with a little practice I’ve started to be able to model my own furniture. 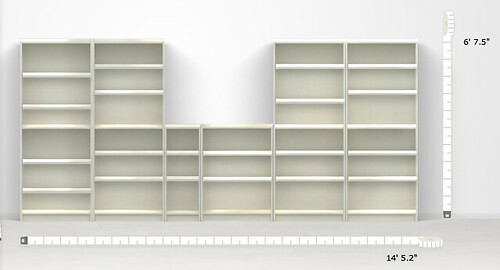 Ever since seeing this Billy bookcase hack on Pinterest, I’ve been kind of obsessed with creating a built-in shelving wall. Ikea has some pretty good planning tools, so I was able to design something I thought would work in the space. Then I grabbed the Billy set from the SketchUp 3D Warehouse and started modeling it in the room. SketchUp’s rendering tools leave a lot to be desired so I started playing around with a demo of Twilight, a rendering plugin. 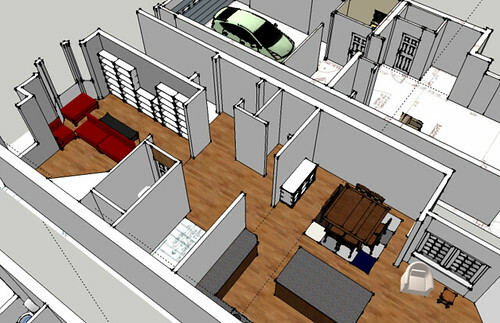 Aside from some odd lighting issues, I think it gives you a better feel for a space than SketchUp’s line drawings. One other SketchUp plugin that has been invaluable is Fredo6’s Round Corners. I used it when modeling the couches to make them look more couch like. Clearly my 3D modeling skills still leave a little to be desired, but you get the general idea of the piece. It’s a Makenzie corner chair from Target, part of a sectional we’re considering getting for our TV room. Thankfully we have some time before we have to start seriously thinking about furniture, since the carpets need to be replaced and we’ll want to put up a fresh coat of paint. The next few weeks will be spent coordinating various contractors (long distance), trying to get the house in shape for move-in well before the baby decides to show up.